Recently, Nigeria’s pioneering use of multi-stakeholder governance to disclose data on its upstream extractive value chain was recognised by the board of the global Extractive Industries Transparency Initiative (EITI). The country according to the EITI, became the first Anglophone African country to have made satisfactory progress in implementing all the requirements of the EITI standard in reporting the activities of their extractive industries. “Nigeria’s implementation of the EITI standard remains in many respects a model for implementing countries globally,” said the chair of the EITI board, Fredrik Reinfeldt, on the movement’s recognition of the enormous work the Nigeria Extractive Industries Transparency Initiative (NEITI) had put in to open up the country’s very cloudy extractive sectors, especially oil and gas. By its grant of satisfactory progress status to Nigeria, the EITI acknowledged that NEITI had in over 15 years of implementing its shared principles, significantly become an independent ombudsman that holds stakeholders in the country’s extractive industries liable. 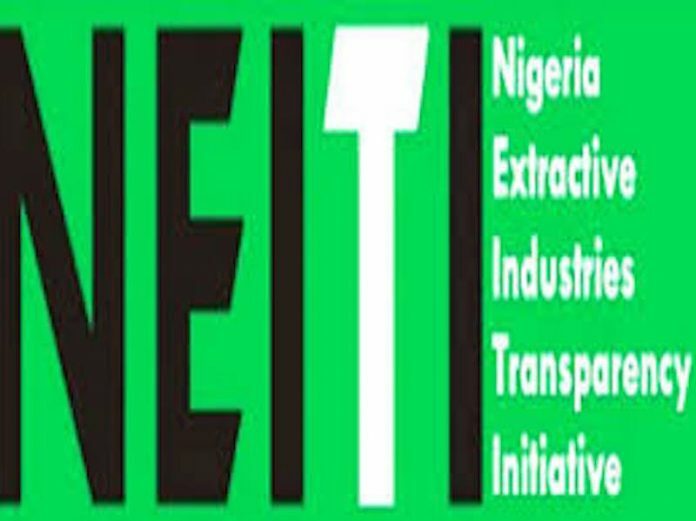 It also showed that while Nigeria still struggles with the challenge of entrenching transparency in routine government and company interactions in the country’s extractive sector, the NEITI has however continued to point her to the direction she should travel if her natural resources must work for all her citizens. For instance, since 2017, the NEITI has published reports on the country’s allocation of operational licences for extractive activities; administration of oil and gas subnational transfers; as well as sales and earnings from crude oil, and other business processes within the NNPC. These have notwithstanding been inclusive of its other activities to shine more light on the workings of the solid minerals sector. Adio, further explained that: “Citizens, civic groups and the media are now better armed with information to ask probing questions and make informed contributions to governance,” all on the back of NEITI’s push for a transparent and accountable extractive sector. “Over time, various governments have used information from NEITI’s reports to recover almost $3 billion that would have ended up unpaid. “NEITI’s recommendations are driving the ongoing reforms in our oil and gas and mining sectors,” added Adio. He noted that only seven countries including Nigeria, have so far achieved the highest status of satisfactory compliance, and that the recognition meant well for Nigeria. “EITI Validation is a major achievement that did not come easy. We are very proud of this milestone. All Nigerians should, from the president down to the ordinary person on the street. Our country hardly gets in the news for the right reasons. “Our ranking on most governance and development indexes, even when improving, leaves much to be desired. “As a country, we get constantly beaten up and we also beat ourselves up a lot. But this is an area we are doing very well, and a very important area too,” he stated. But then, having the NEITI stand alone, and take up global accolades for the works it is doing without necessarily pushing to ensure that its ideals are deeply entrenched in the way Nigeria manages her extractive sectors vis-à-vis shifting from just reporting to now realising real values from the contents of the reports and recommendations of NEITI, could mean the country hasn’t fully embraced the ideals and how best it could help it reverse the oft talked about resource course syndrome she’s had to deal with for years. Thus, for the ideals of the EITI to truly and really become meaningful to ordinary Nigerians, the country would have to step up its commitments to the standards pushed by the movements, up from the level it currently is, to that of substantial enforcements of recommendations often made by the NEITI in its audit reports and other advisory reports it issues out from time to time. For instance, through its audit reports on activities in Nigeria’s oil sector, the NEITI had uncovered backlogs of unpaid revenues running into billions to Nigeria by operators either through statutory tax defaults or abuse of processes, yet calls for remediation of these have not yielded results as much as they should have. Putting these unearned revenues into a perspective ordinary Nigerians could easily relate with, the NEITI recently disclosed that the revenue Nigeria did not earn from its failure to review terms in the 1993 Production Sharing Contracts (PSCs) it signed with oil companies in the country could have funded its construction of the 3,050 megawatts (MW) Mambilla hydro power plant was estimated to cost $5.72 billion; Calabar-Lagos Rail line ($11 billion); Fourth Mainland Bridge ($1.4 billion); Badagry Deep Water Port Complex ($1.6 billion); and Lekki Deep Seaport, amongst other key infrastructure projects. It explained in a report it conducted on what the country potentially lost for not reviewing the PSCs terms as expected, that $16.03 billion or $28.61 billion could have been made by Nigeria if it had reviewed the PSCs when oil price got beyond $20 or 15 years after the PSCs became active. Review of the PSCs has remained one of the many remediation issues in the audit reports often prepared by NEITI, and which the National Assembly is mandated to always debate on, but had never done. Even though the NEITI has prompted widespread debate and made more people knowledgeable about activities in Nigeria’s extractive sectors, its recent disclosure that it was about to include the beneficial ownership framework into its reporting processes suggests that a new push factor was on the way. Through the beneficial ownership framework, NEITI explained that all Nigerians would be able to know who owns or holds crude oil blocks in the country starting from January 2020. Adio, stated that NEITI’s push for the implementation of the beneficial ownership practice in the extractive sector was on course, and NEITI had planned to meet a January 1, 2020 deadline for it to begin this. He added that an open register of every one holding oil block licences and solid minerals rights in Nigeria will become public from this period. In retrospect, the Stolen Assets Recovery Initiative (STAR) of the World Bank and United Nations Office on Drugs and Crime (UNODC), had described beneficial ownership as the natural person who ultimately owns or controls a customer or the natural person on whose behalf a transaction is being conducted, while the beneficial ownership guides are intended to help public authorities or other interested parties looking to find information on such entities incorporated under the laws of a country concerned. The guides, STAR explained would provide basic information to assist what steps to take to ascertain the identity of beneficial owners and other related parties. Adio, however stated: “Everybody is talking about beneficial ownership now. If you are aware of the Paradise and Panama Papers, people hide behind anonymous companies to perpetrate all kinds of things, deny countries of revenues; do money laundry; commit crimes including serious crimes like terrorism; drug financing and all others. This is an existential issue for most countries especially countries like our own where we need all the monies that we can get. He further explained: “On the micro level, we also have a commitment under the EITI that we are going to have a register of all the companies operating in the extractive sector in Nigeria by 1st of January 2020. I want to tell you that whether it is under EITI or commitment under OGP, there is political will and support at the highest level – this is a commitment the president (Muhammadu Buhari) made himself, different agencies are working on this. 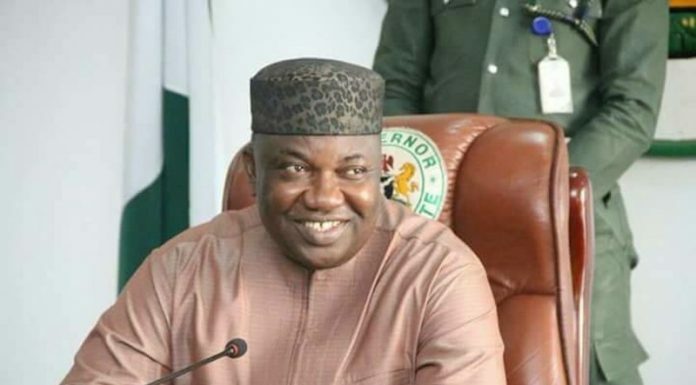 “We are leading the one on the extractive sector, and our hope is that we are working with regulators in the extractive sector – the MCO (Mining Cadastral Office) in the solid minerals sector, the DPR (Department of Petroleum Resources) in the oil and gas sector, and some others. “We hope to beat the deadline. We hope we are going to have a register of beneficial owners before the end of this year. It will not be a perfect register, but it will be a good place to start,” he added. Thus, it is expected that while Nigeria has had to deal with the long-standing challenges of managing its extractive sectors, especially the oil and gas sectors which have been riddled with corruption and unaccountable use of revenues as well as poor governance processes, the NEITI could move forward in its push for a transparently managed sectors using amongst other tools, the beneficial ownership framework, to continue to improve the country’s extractive sector.